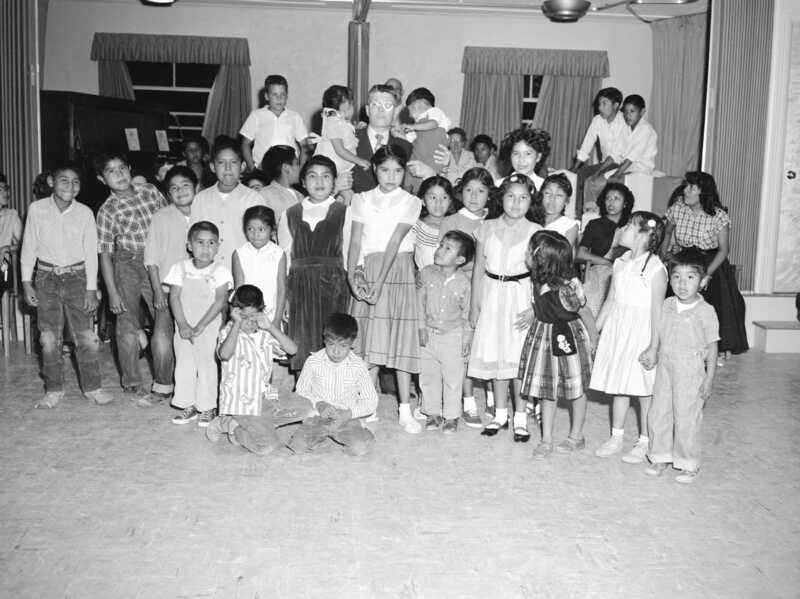 Description James Bacon is surrounded by Ute children during the dedication of the Randlett Indian Mission Church. He had been mission president for four years and had become good friends with the Ute people. Among the group of children are Rodell Cesspooch and Ralph Serawop.